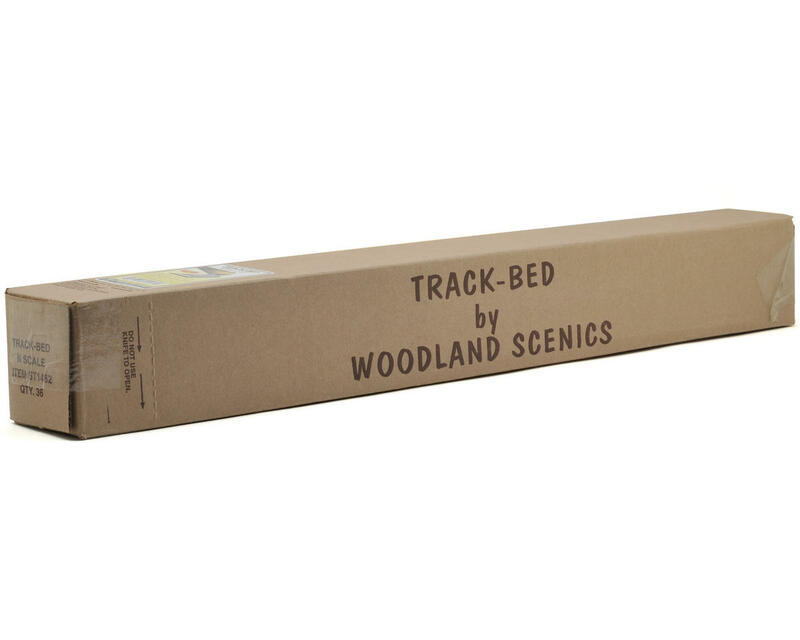 This is a pack of thirty six Woodland Scenics N-Scale 2' Track-Bed Strips. This roadbed product provides quiet, smooth train operation and absorbs irregularities on your layout. Track-Bed requires no pre-soaking like cork and remains flexible so it won't dry out or become brittle. 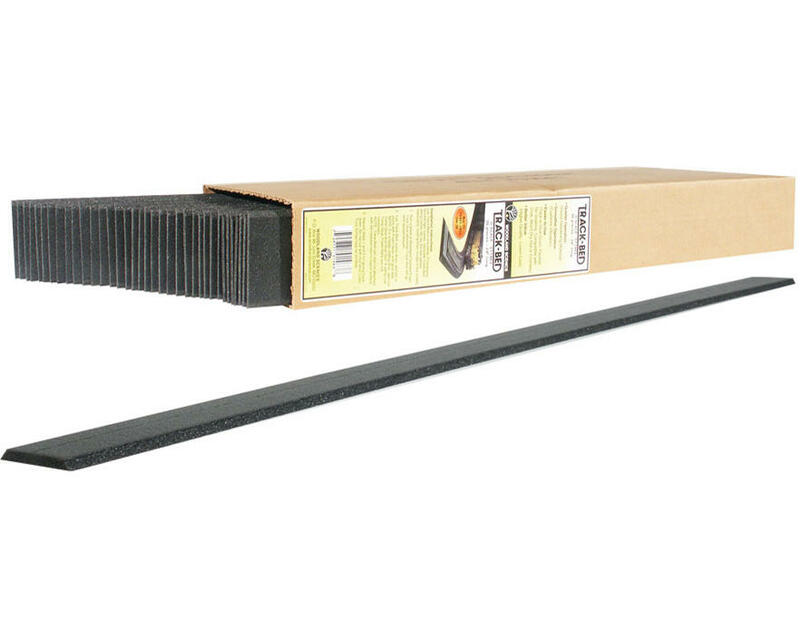 It aligns well with existing cork and any layout and is available in rolls, strips, sheets and super sheets.